JetBlue flies 130 A320 aircraft, and they all have pretty terrible built-in infotainment systems. That's going to change soon, though. 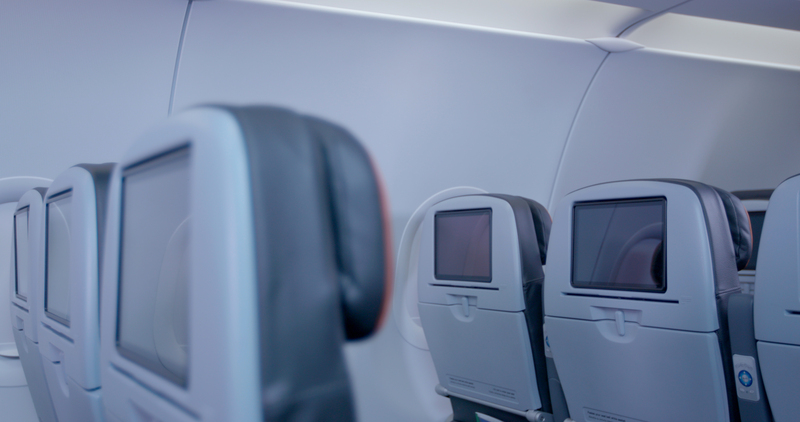 The airline has announced a revamped design of its cabins that will include Android-powered touchscreens in the seat backs. They'll be Android-powered sure, but they might not be recognizable as Android. Because JetBlue isn't running a bunch of full Android tablets, there won't be Play Store access. The decision to go with Android simply makes it easier for partners to develop apps and streaming content for its new infotainment platform. It will include more than 100 live TV channels via DirecTV, news updates, and hundreds of movies. JetBlue describes the screens as 10.1-inch "high-definition" panels. That could mean 720p or 1080p; they did not specify. There will also be AC power and USB at every seat (just in time for USB Type-C to make those ports obsolete). 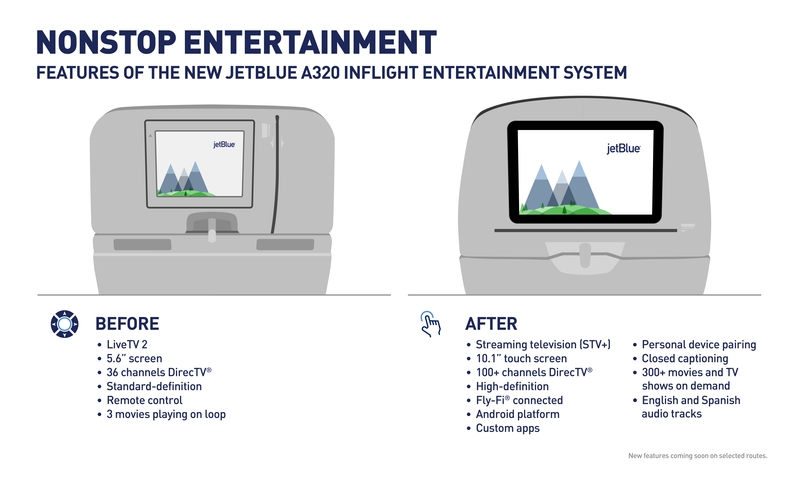 JetBlue plans to start rolling the new infotainment system out next year and will have it on all aircraft by 2019.